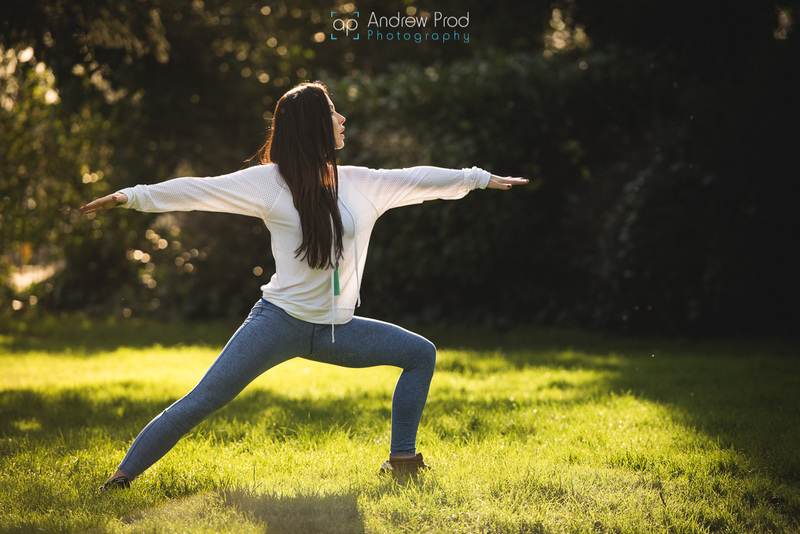 North London Yoga Photographer. Photography by Andrew Prod. Hello and a warm welcome to my Yoga photoshoot with Kiara. 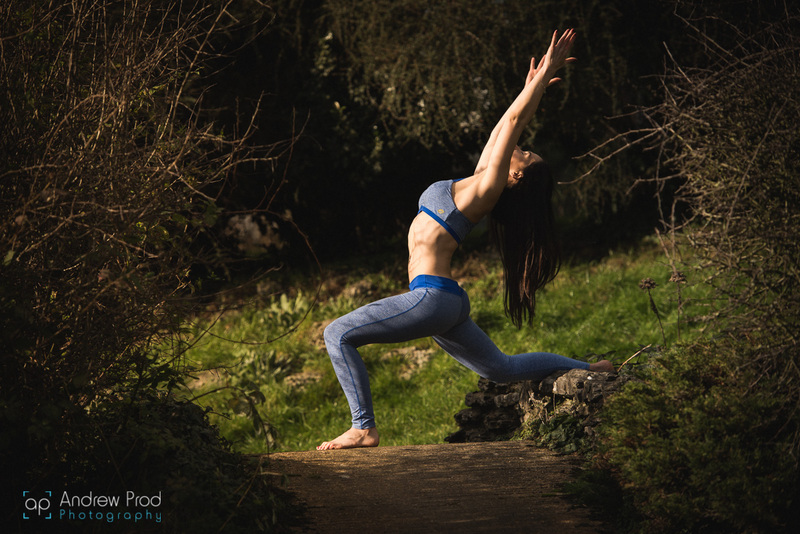 I got to work with such a lovely Yoga instructor based in London and working together we managed to get some really nice images. Our original plan was just to shoot in the studio with a white background but as the sun was shining, we decided to get some creative shots in the park next to my studio. Yoga is a word with so many connotations. My relationship with yoga transcends all of my worldly connections. It has become an intrinsic part of my life, beyond simply exercising the physical practice. It is my breath and my breath is me. Indivisible. A divine union between all in existence. 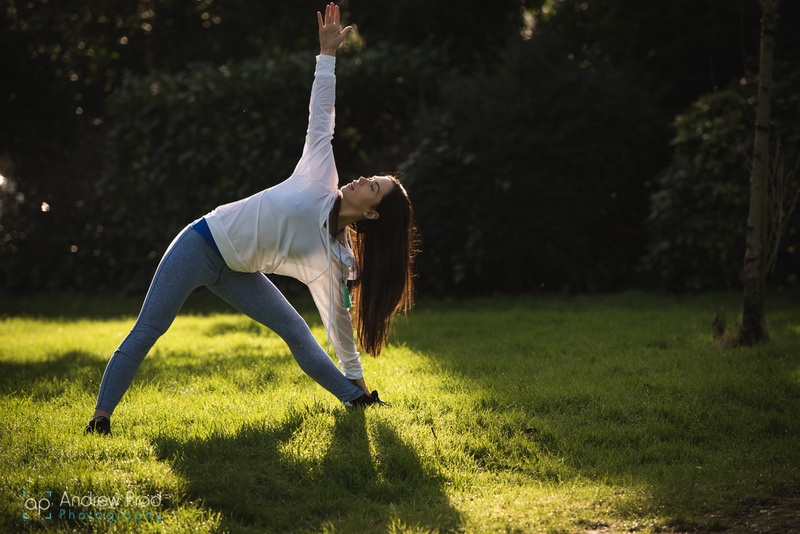 Modern postural yoga can be intellectually separated from the rich tapestry of wisdom and philosophical offerings at its roots and at times, I prefer to explore this physically oriented style. It seems more logical. Rational. Tangible. My mind craves that level of grounding in moments. When the pendulum swings, I often yearn to hear the deep, transcendental whisperings of my own psyche, my heart, my energy and through meditative practice, I am reminded that we are simply reflections of one another. I stare longingly into the great hall of mirrors that feels as though it might just be our ultimate reality. I have always believed myself to be a somewhat atypical yogi in the sense that I’m entirely carnivorous, I don’t rise at the crack of dawn to salute the sun and I’m slightly aggrieved on occasion by some of the airy fair hippy dippy notions which are frequently propagated on social media. Rant over! As with any philosophy or tradition known to mankind, the reality is that they are all composed of derivative ideas. Written down by the hands of fallible humans. Often easier to grasp in the abstract. Moving, beautiful, inspirational, terrifying and comfortingly helpful. What matters most to me now is not the extent to which these notions happen to be subjectively or objectively “true” or “false” but rather the fact that they offer such a wonderful and peaceful way for us to relate to ourselves, each other and to our often undervalued world. 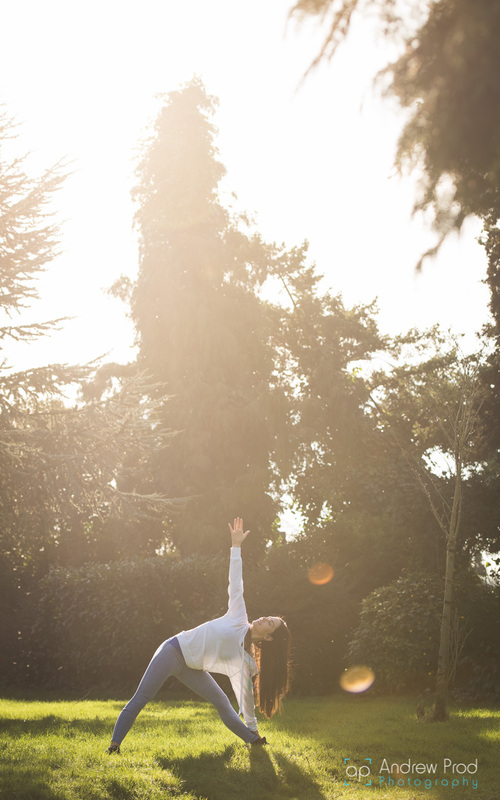 Please enjoy some of our favourites from the yoga photoshoot.